SDQ Interview with Kirby Larson. 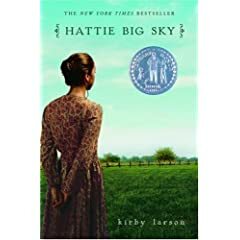 Kirby Larson is the author of Hattie Big Sky, a book so super-fab that I read it in one sitting, despite the fact that it is historical fiction. I loved it so much that I've been babbling about it to anyone within fifteen feet of me, and my need to share it has been so great that I loaned my personal, autographed copy to three of my favorite patrons*. Sorry about that. Back to you, Kirby. Just finished Bonny Becker's HOLBROOK: A LIZARD'S TALE (an adventure story about an artistic lizard -- fun read! ), and am just starting Susan Fletcher's ALPHABET OF DREAMS. I recently heard Rita Coolidge perform, and, even with a cold she was classy, warm and fabulous. I bought her new jazz CD (title escapes me) and am listening to it constantly; also "Ray Sings, Basie Swings;" a CD my daughter and her husband made for me (with a knock-out cover of "Brown-Eyed Girl") and several Alison Krauss CDs. Roman Holiday, with Gregory Peck and Audrey Hepburn. I married my one true crush but I would love to have a dinner party (catered, of course) and invite M.T. Anderson, Karen Hesse, Karen Cushman, Frances O'Roark Dowell, Barbara O'Connor, Katherine Paterson, Betsy Byars, Avi, Joan Bauer, Gennifer Choldenko, Jennifer Holm, Lloyd Alexander and Sid Fleischman. Misspelled words on signs, video games and people who say they don't read, especially when they say it in front of kids. Writing my daily 1600 words for National Novel Writing Month (NaNoWriMo); yoga; and planning a trip to New Zealand. Every single one of my fears is well-founded and rational. *According to their mother, all three girls loved it. Which must be true, as they haven't returned it yet. Ahem. 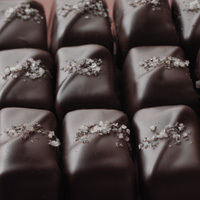 What are your not-so-favorite classics? Comics and the National Book Award.